Prepare to be amazed by the Forever Spring Tulip Collection. 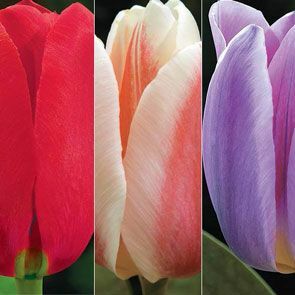 This incredible mix of magnificent, colourful tulips offers truly exceptional stature and hardiness in three gorgeous colours. "Life is a Cabernet" is a stunning bright red, "All That Jazz" has splendid peaches and cream petals and "Light and Dreamy" has lovely lavender blooms brushed with violet. These remarkable tulips grow an astonishing 30 inches tall, with colossal 6-inch blooms. 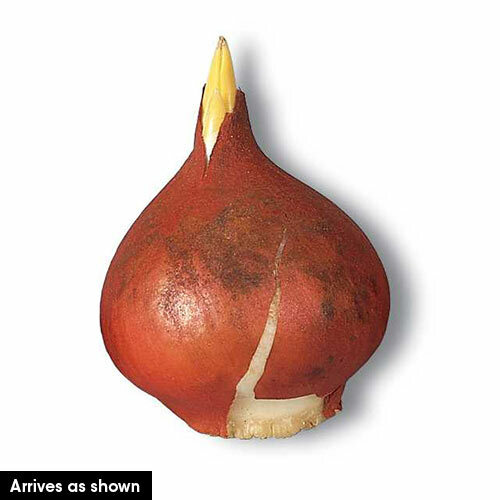 Plant these spring tulip bulbs in the fall, 3 inches deep and 4 to 6 inches apart in well-drained clay, loamy or sandy soil. They thrive in Zones 3 through 8, and do well in partial to full sun. 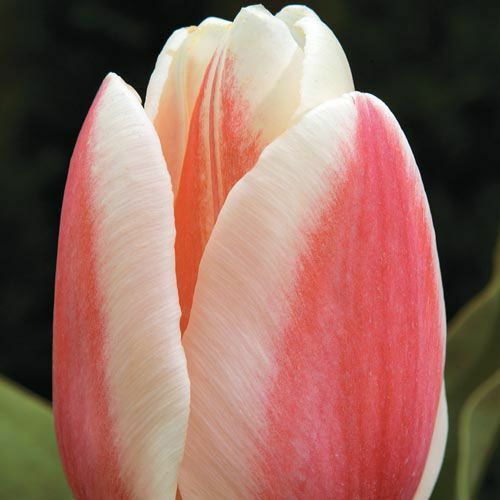 Developed and sourced by Dutch growers, our exclusive Forever Spring tulip collection blooms in early spring and continues to bloom for a remarkable 5 weeks, outlasting other tulip varieties. These striking perennial tulips make a dramatic backdrop for other, smaller springtime flowers and are equally impressive placed singly. They make an arresting, majestic display when planted along fence lines, against buildings, in beds or in borders. 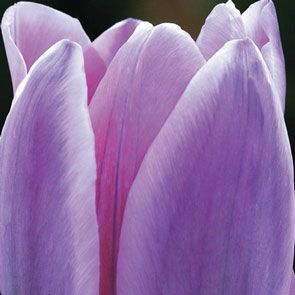 The Forever Spring tulip collection can be planted in areas you might hesitate to place other tulips, because their thick, sturdy stems stand up to spring weather and their huge blooms maintain their shape and colour. Make spring last forever with this fantastic collection. The Most Impressive Tulips You'll Find Anywhere! 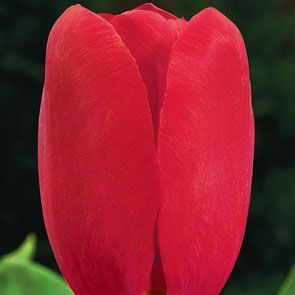 Several years ago, a hybridizer called us claiming he had developed a tulip that lasts longer than any other tulip in the world. To our surprise, his claim was true! We bought his entire stock right then and there, and we named these extraordinary tulips Forever Spring. With Breck's exclusive Forever Spring Tulip Collection, you'll get 24 hand-selected, top-quality bulbs. Next spring, your Forever Spring Tulips will be the first to arrive and the last to leave—standing tall and strong even in spring winds! Long Blooming. An amazing hybridizing breakthrough, Forever Spring Tulips burst onto the scene very early and continue blooming for up to five weeks! Huge. Glorious 6" blooms on powerful 28-30" stem. Unbelievable. Weatherproof The stems of Forever Spring Tulips grow so thick and strong, they stand upright even on a windy day! And the petals are beautifully stubborn, holding firm in spring wind and rain. Early Spring Forever Spring Tulips begin blooming exceptionally early, along with your favourite daffodils. 2-3 Weeks Later...Mid Spring When regular long-stemmed tulips begin blooming, Forever Spring Tulips are already there to greet them! And they will continue blooming long after regular tulips fade. These remarkable varieties last longer than any other tulip! This collection includes 8 each of the following varieties.